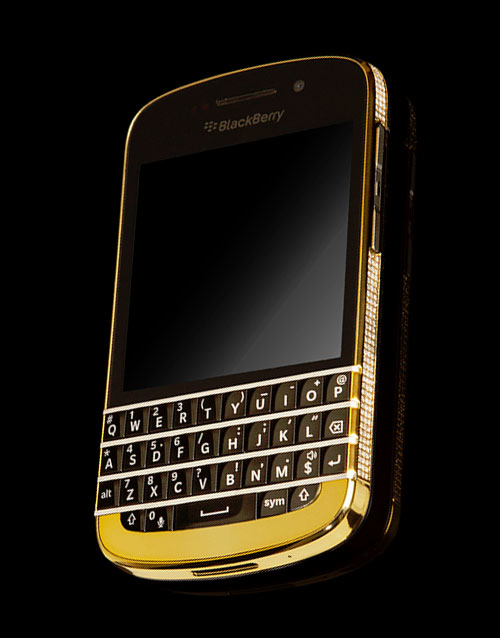 Introducing the BlackBerry Q10 exclusively from Alchemist available in 24k Gold, or Platinum. 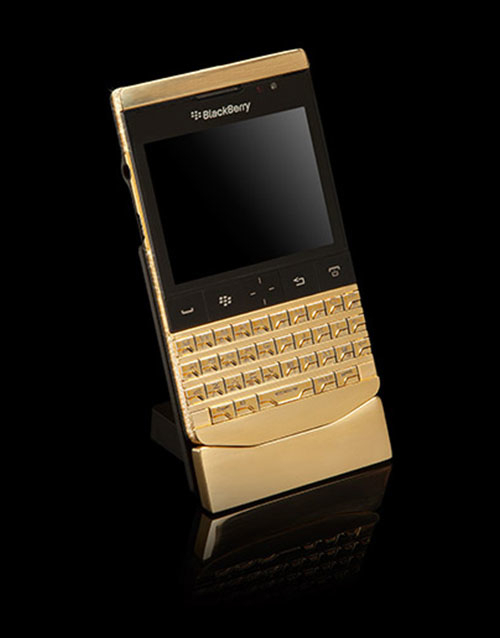 This truly unique and exquisite BlackBerry Q10 has a 24k Gold or Platinum Bezel around outside housing and integrated panel below key pad. The BlackBerry Q10 comes with a 3.14-inch screen, enhanced BlackBerry QWERTY keyboard and the new BB10 operating system with 16 GB storage, 2 GB RAM and 4G LTE. Sim FREE available to use on any network worldwide. 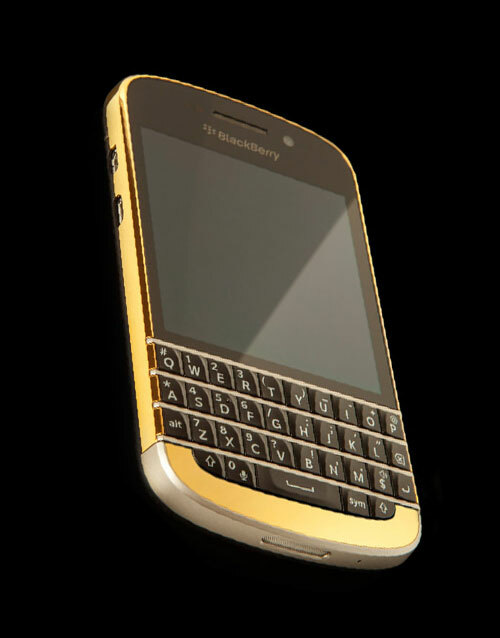 All our BlackBerry Q10s come with lifetime gold plating guarantee. Alchemist - London creates the finest quality customised and bespoke Luxury pieces for discerning clients. Only the finest materials, created with the finest craftsmen. Our confidence in our creations is high, that is why we offer free international shipping and LIFETIME Warranty on all our plating. WOW – I don't really know what else to say other than.. 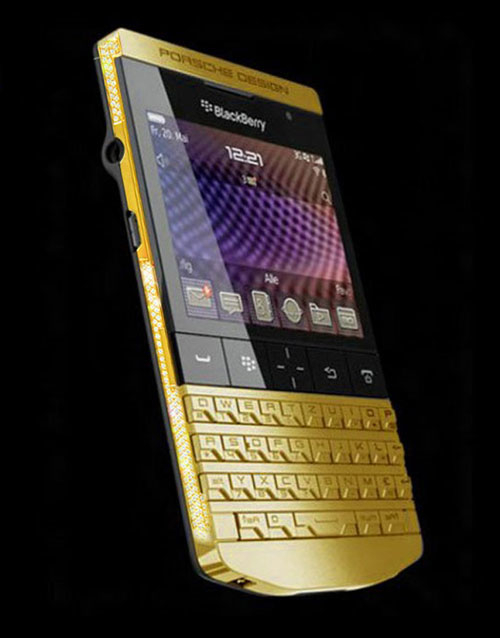 I ordered my Gold Swarovski iPhone 6, and received it within 10 days. I love it! It is absolutely stunning. The missus is over the moon, her friends and colleagues are all jealous. And I am a happy man in more ways than one! Thank you so much. I love my full swarovski iphone 6. Thank you so much. I can see the incredible work you do in making such stunning works of Art. I really have something now that no one else has in my circle. Thank you so much Alchemist! A truly magnificent gift. My wives love it. Thank you Alchemist. Sincerely. Every month a draw is made, keep an eye on your inbox!